Famous outlaw Willie Sutton was purported to have replied to the question, "why do you rob banks" with "because that's where the money is." The fact that he never said it is almost beside the point. He might as well have. And the same answer would hold true if you ever asked a scammer, "why do you target senior citizens?" According to the FBI, seniors are most likely to have a “nest egg,” to own their home, and to have excellent credit. "Unfortunately, we know from our research that seniors are very attractive targets," said Eleanor Blayney, Consumer Advocate for the Certified Financial Planner Board of Standards. It's also unfortunate that seniors have fewer defenses against these attacks. People who grew up in the 1930s, 1940s, and 1950s were generally raised to be polite and trusting. Con artists exploit these traits, knowing that it is more difficult for these individuals to say “no” or just hang up the telephone. If you are a senior, or the caregiver to one, it's vitally important to know the favorite ways scammers try to play their games. Here are some very common senior scams and some suggestions for dealing with them. 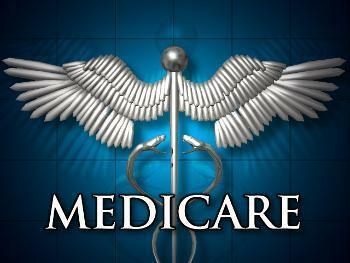 Every American over age 65 is on Medicare and is very sensitive to any changes or modifications to the system. If a scammer calls and pretends to be a Medicare official, the senior may fall right into the trap, providing sensitive information like date of birth, Social Security number and even bank account information. The proper response is to politely say you never reveal that information over the phone and hang up. No one from the government would ever call you and ask for it. Unscrupulous medical equipment manufacturers sometimes use seniors to bilk the government. They dangle the offer of free medical products in exchange for their Medicare account numbers. A physician has to sign a form certifying that equipment or testing is needed before Medicare will pay for it. The FBI says scammers fake signatures or bribe corrupt doctors to cooperate. Once the senior signs, the manufacturer bills Medicare for merchandise or service that was not needed or was not ordered. Again, seniors should not reveal their Medicare numbers to people they don't know. Seniors have a hard time hanging up on people and telemarketers know this. That's why when scammers get an older person's phone number, it has great value. Seniors then become the target of people who sell bogus products and services. Telemarketing scams often involve offers of free prizes, low-cost vitamins and health care products, and inexpensive vacations. The National Crime Prevention Council cites studies showing that seniors are more at risk to be targeted by telemarketing scams than other age groups, and fraudulent telemarketers direct anywhere from 56 to 80 percent of their calls at older Americans. These con artists believe that senior citizens are vulnerable and more susceptible to their tricks. The best defense against these scams is to place the senior's telephone number on the Do Not Call list. Then, any telemarketer who calls and tries to make a sale has identified themselves as someone who is breaking the law. Just hang up. Reverse mortgages, also known as home equity conversion mortgages (HECM), have increased more than 1,300 percent between 1999 and 2008, according to the FBI. They have become especially popular since the Great Recession, as older homeowners try to tap the equity in their homes to meet living expenses. While a reverse mortgage is a legitimate financial instrument, set up by the U.S. government, it can be easily misused to defraud seniors. "Seniors, more than other segments of our population, often have homes they own, or have a lot of equity that they want to tap into," Blaynay said. "There are very strict rules for reverse mortgages in terms of who is qualified to issue them. Sometimes seniors are mistakenly led to believe that need to sign over their property deed in order to get a reverse mortgage. That's an absolute red flag." In some scams the FBI has investigated, senior victims are offered free homes, investment opportunities, and foreclosure or refinance assistance. 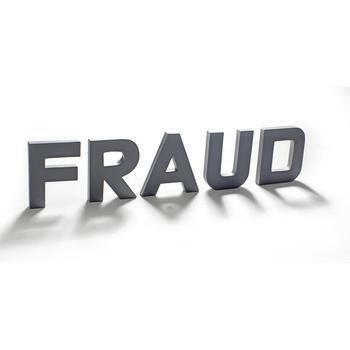 They have also been used as straw buyers in property flipping scams. Seniors are frequently targeted through local churches and investment seminars, as well as television, radio, billboard, and mailer advertisements. 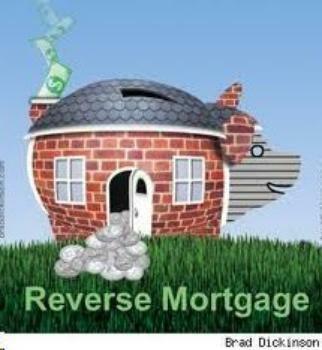 If you investigate a reverse mortgage, make sure it is a loan product insured by the Federal Housing Administration. Eligible borrowers must be 62 years or older and occupy their property as their primary residence. Many seniors have grandchildren who are teens or young adults. In the grandparent scam the scammer calls a senior and, muffling their voice or adding a lot of background noise to the line, says something like "Grandpa, it's me!" The victim might respond with the child's name. At that point the scammer assumes that identity and pleads for money to either get out of jail or avoid some trouble. In many cases the senior, who might not hear that well anyway, falls for it. Seniors need to be aware of this scam and be prepared to deal with it. Here's one way to respond: when you receive a call like this say "give me a phone number where I can reach you and I will call you right back." Then, call the child's parent and fill them in. They should be able to quickly determine whether the caller is an impostor. Finally, the advice is trite but bears repeating. If something sounds too good to be true, it almost always is. If someone makes you an offer, whether it is an investment with a “guaranteed” double-digit return or the exciting news that you've won a lottery you never even entered, you should recognize it for what it is; a scam.